Don’t Drill The Hills, (DDH) is responding to the October 26, 2015 press release issued by the City of Rochester Hills. The City’s release states it is a “City and Oil Company” response to “false allegations” contained in a DDH October 20, 2015 announcement regarding discovery of a surface oil drilling lease within the City. Let’s address point by point. The City states that DDH “claimed on social media that it has ‘discovered’ surface oil drilling leases for several sites near Tienken and Adams Roads.” Yes, DDH did discover a surface oil & gas lease contract filed with the Oakland County Deeds. This is not an allegation; the legal document is on public record. DDH’s announcement from 10.20.15 was regarding PRIVATE PROPERTY lease contracts at the corner of Tienken and Adams roads. These legal agreements are of great concern because they ALLOW FOR SURFACE DRILLING operations on 5 acres adjacent to a City park and RCS schools. These documents, signed by landowner John Hagar, are with an oil and gas company named WEST BAY EXPLORATION. DDH clearly identified the contracts as being recorded with the County Clerk on February 2, 2015, and provided links to these public records as evidence. However, the City’s 10.26.15 press release, allegedly in response to DDH 10.20.15 announcement, discusses land and leases adjacent to Mr. Hagar’s – the City’s PUBLIC PROPERTY subsurface oil lease for city parks & cemetery signed by Mayor Bryan Barnett with oil company JORDAN EXPLORATION. This lease does not appear to be recorded with the Oakland County Deeds office. Included in the City’s release is a statement from Jordan Exploration, engaged in the public City parks lease, but NOT CONTRACTED WITH PRIVATE HAGAR lease contracts discussed in DDH 10.20.15 announcement. Not only is the statement from the wrong company, addressing the wrong leases, it is clear the Jordan rep was responding to incorrect second hand information and had never read DDH’s 10.20.15 announcement. Jordan Exploration rep also states they “don’t have any intentions” for “activity in your area.” Statements of “intentions” from any oil & gas company are not legally binding. The remedy must be in the form of a legally binding “Release of Oil and Gas Lease” document filed with the County Clerk. Until the contracts are legally voided, the risks of oil exploration in high density residential and school areas remain, and so do the legitimate concerns of residents. 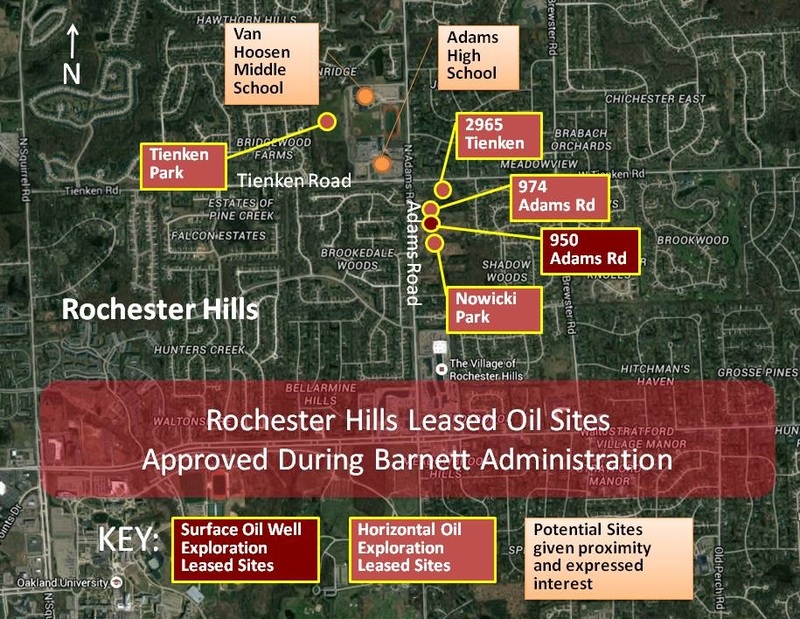 Most importantly, the City’s press release never addresses the MOST SIGNIFICANT ISSUE at hand… the fact that a SURFACE OIL DRILLING contract does exist within the City of Rochester Hills – while City officials have insisted many times that none exist at all. Moreover, the Hagar property leases DDH revealed on 10.20.15 are in a RESIDENTIAL ZONED area and ADJACENT TO ROCHESTER COMMUNITY SCHOOLS. THE BOTTOM LINE: the City’s 10.26.15 press release clearly is NOT a response to DDH’s 10.20.15 announcement. It appears to be a misdirection to deflect the public from the facts and the significance of these surface leases next to homes and schools. It is also a disappointing stunt by City officials in an attempt to discredit a reputable local non-profit made up of residents they’re charged with serving. 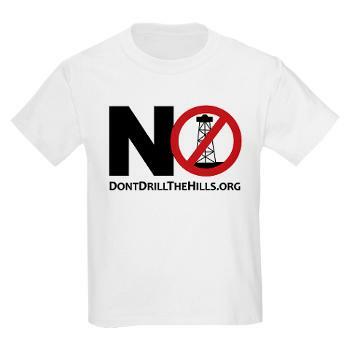 Don’t Drill The Hills is an award-winning non-profit that has gained statewide recognition over the last two years. Its team of volunteers consists of what you would expect from our well educated and high achieving community – business and legal professionals from many disciplines. DDH’s goals include reducing the risks of oil exploration in high density residential and K-12 school areas and maintaining the citizens’ rights and voice in public property decisions.